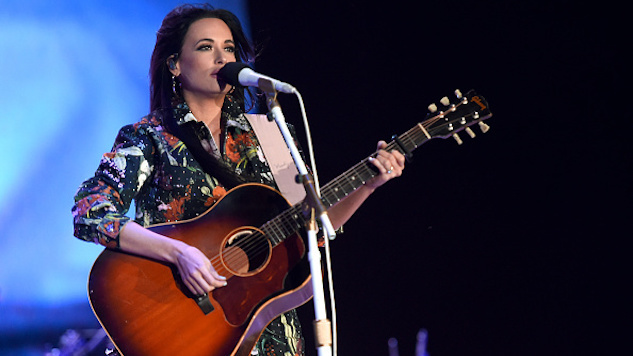 Hear Kacey Musgraves Cover Roger Miller's "Kansas City Star"
Kacey Musgraves may have released a pop-forward record this year—her psychedelia-infused Golden Hour—but she can still throw down some honky-tonk blues. On Thursday, the “High Horse” singer released a cover of 20th-century country artist—and fellow Texas native—Roger Miller’s “Kansas City Star,” a swingin’ western number first recorded in 1965. Miller passed away in 1992, but the hitmaker is still revered for his quirky songwriting and his 11 Grammys. Listen to Musgraves’ rendition of “Kansas City Star,” which substitutes a whistle track in place of the original’s horn solo, below. Golden Hour, named for Musgraves’ hometown of Golden, Texas, was released in March. She’s since shared music videos for standout tracks “Space Cowboy” and “High Horse,” which you can watch here and here, respectively. Musgraves is also heading off on her Oh What A World: Tour in January of 2019, and she has a highly qualified troop of indie stars scheduled to support: Soccer Mommy, Natalie Prass, Liza Anne and Sinclair are all on the calendar. You can find all the dates here. For a throwback, read our feature from 2013 in which we praised Musgraves as the Best of What’s Next. Stick around for her dreamy 2015 Daytrotter Session below.